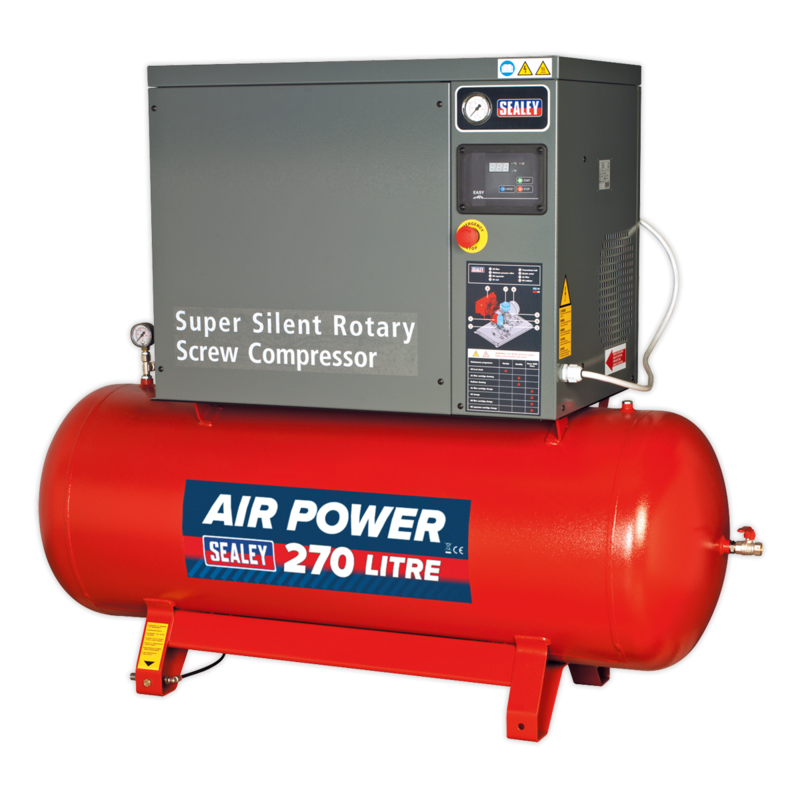 High performance, top of the range screw compressors offer high continuous output of air with low running costs. 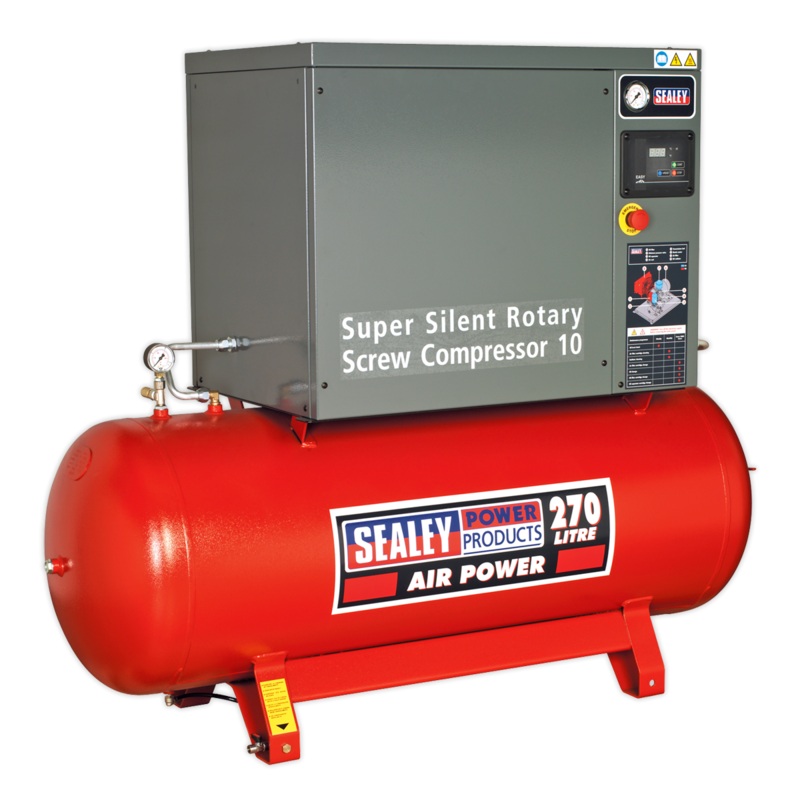 One of the most economical ways to get compressed air 24/7 with minimal downtime. Very few moving parts, means servicing/maintenance will be less frequent and less expensive compared to an equivalent piston model. Insulated Class F 10hp motor with IP54 protected control box, which is easy to operate with digital display showing key information like air pressure, oil temperature and maintenance schedules. 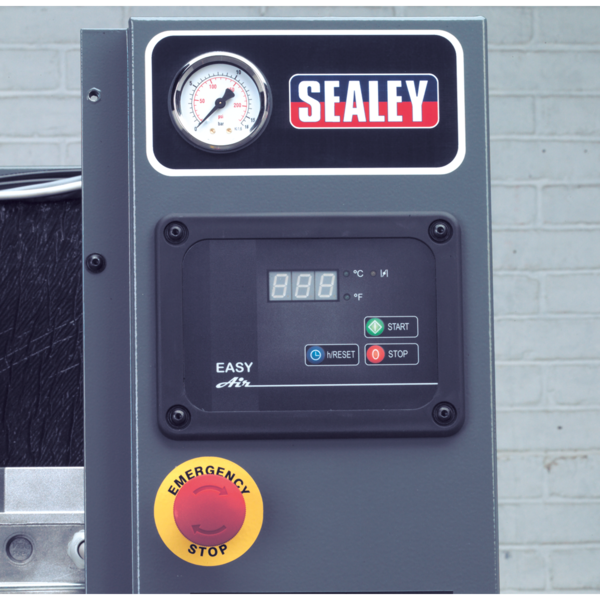 Features an insulated outer casing to minimize noise (67dB(A) at 1m) and offers protection to inner components. Also fitted with a drain valve tap at base of unit to ensure easy function tank drain when required.